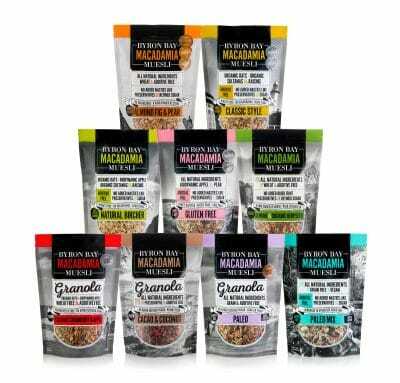 We have created an amazing gluten free medley of Organic nuts, seeds, fruit and puffs that will not disappoint. 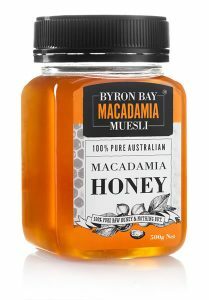 Light honey roasted macadamia nuts, almonds and seeds have been blended with delicious, juicy and organic fruit and organic rice puffs. 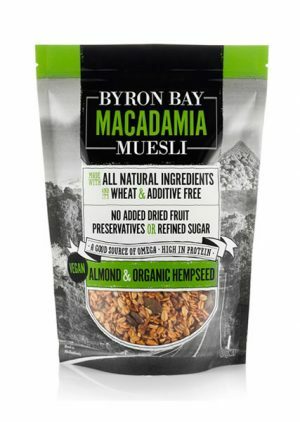 We use real macadamia honey from the blossoms of the local macadamia trees to gently sweeten our muesli. 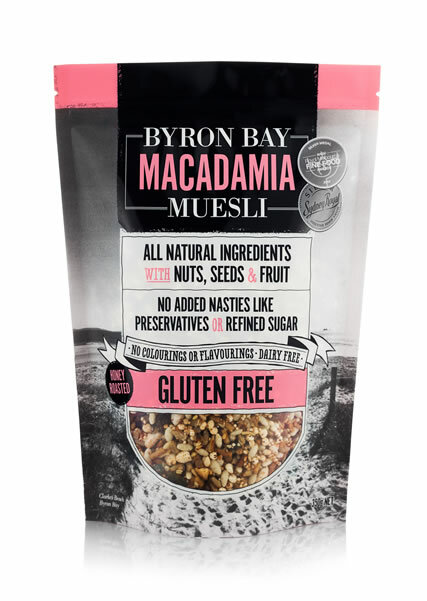 Our gluten free muesli is preservative and additive free. We use only the highest quality natural ingredients. 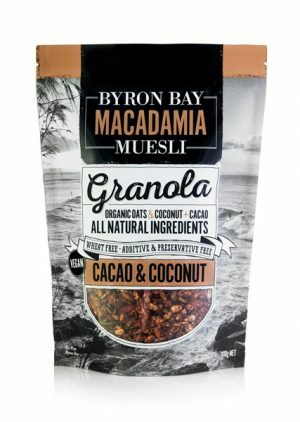 Once you try this you’ll be hooked! 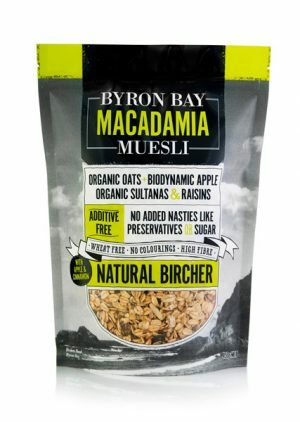 Sunflower kernels, Rice Bran Straws (Rice Flour, Rice Bran, Prune Concentrate, Vitamin E), Rice Puffs (Rice Flour & Rice Bran), Organic Pepitas, Spray Free Almonds, Sesame Seeds, Organic Sultanas, Organic Apricots (Organic Apricots, Rice Flour), Macadamia Nuts, Organic Puffed Brown Rice, Honey, Organic Dried Pear & Apple, Organic Raisins, Organic Puffed Amaranth, Organic Puffed Millet, Cold pressed Macadamia Oil. Tree Nuts (Macadamia nuts, Almonds), Sesame Seeds, Honey. May contain traces of soy.